Style Sets Week – The Finale! Hi everyone! I took a little impromptu trip to stay with my mom in Long Island yesterday and got my sun on. While I was relaxing in the sun, or taking a break from rescuing turtles(! 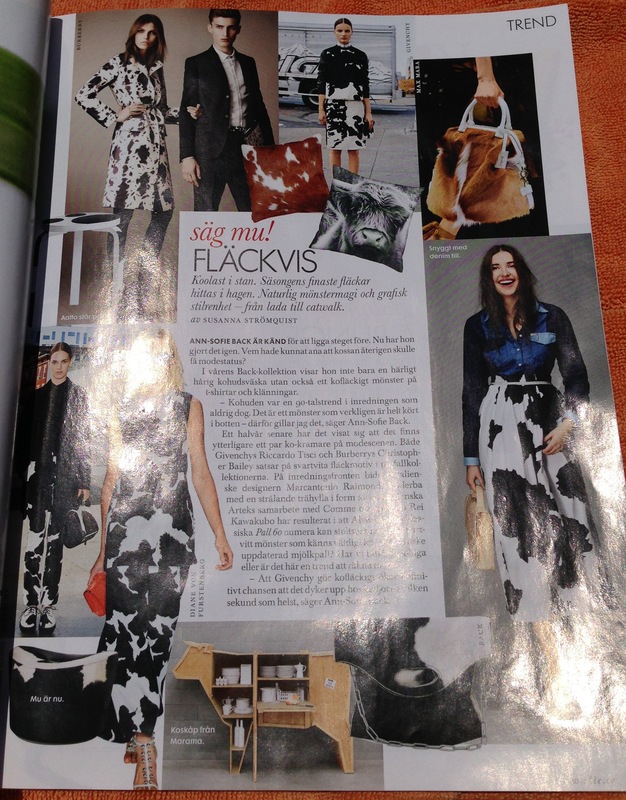 ), I decided to check out the Swedish Elle that my cousins left at our house. Not that I understood much, but I gotta say I really enjoyed all of the fashion. I was actually inspired to take something I saw in the magazine and put my own spin on it in my last style set of the week. There’s a bit too much shine on this photo, but I just thought the cow-print was really interesting. Now, I absolutely am not a fan of the actually cow-skin products 😦 but I do love the animals and the print is not the most commonly seen thing in fashion. Of course, there are certain connotations that may come with dressing up in cow-print, but if done well I think this could be an awesomely unique trend. 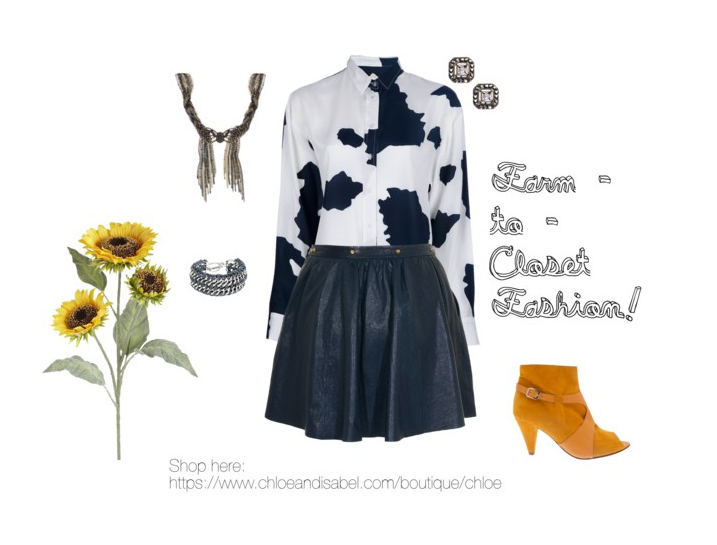 Just more ways you can style fantastic Chloe and Isabel jewels! Check them out at my boutique.